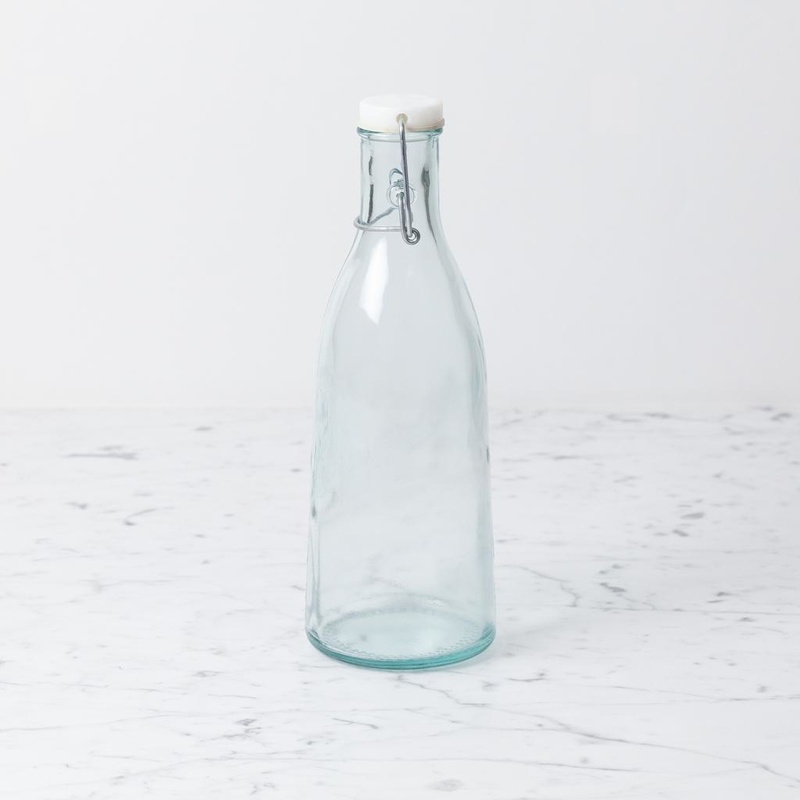 The brilliant applications for this pretty pale blue recycled glass bottle (with its watertight flip lid) are practically endless. Keep water or seltzer cool in the fridge (add a stick of our Binchotan charcoal and you have yourself a "filtration system"). Decant wine—from a good bottle or even just a nice box—and bring to table. Add some mint or lemon and use it to make infusions. Bring lemonade to a picnic. 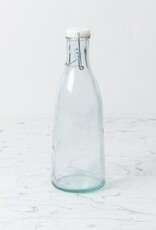 Add a few long stemmed blooms and it's a vase. A bedside decanter for the clumsy (or for those whose curious cats get thirsty...TMI?). Basically, it's a simple, lovely, streamlined essential. Holds one liter.